Miami's Bay Point Miami is a gated community nestled near the upper eastern side of the “Magic City”. It encompasses Northeast 41st Street to Northeast 50th Street and is right next to Biscayne Boulevard. The neighborhood is unique in that residents actually own the streets within the neighborhood. If you're interested in one of the Bay Point homes for sale, there are certain community fees which cover among other things the 24 hour security. Location contributes considerably towards the appeal of Bay Point real estate. Miami Beach and its South Beach area are about ten minutes away while the classic city of Coral Gables and Coconut Grove are also just a few minutes from Bay Point. Also be sure to visit the downtown area of Miami, home to many attractions including the American Airlines Arena. Bay Point Miami is located on the waterfront and, for the residents, that's most of the reason they chose to live in the community. 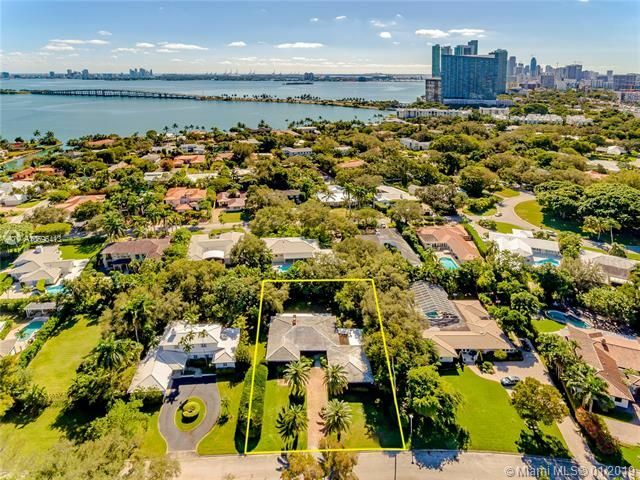 Properties for sale here tend to be attractive to those who are seeking something in an area where the lifestyle is as much a resort as it is a neighborhood and, being right on the water's edge, yachting is a big part of the culture in this community. Other recreational activities play an important role in the social world of Bay Point, as well, and residents enjoy a very low-key existence. with the wealthy and the famous, Bay Point has extensive marina facilities which are a principal part of its draw. All manner of luxury watercraft can be found here. Of course, for those who don't care to ply the seas on their own there are plenty of chartered activities including fishing and simply engaging a boat to go sailing with no motive other than getting out on the waves. This community has a yacht club, as well, and, aside from bringing together people who share a common interest, it's one of the principal social institutions of the community. The yacht club holds numerous functions during the year. Another popular activity with the residents of Bay Point is golf, of course, and there is both a men's and a women's club which centers around that sport. Aside from the waterfront location, the homes for sale in Bay Point do benefit from the fact that there is a cohesive community to be found in this area and many of the residents are drawn as much by that as they are by the prospect of living in a luxury, secure community that offers a lifestyle characterized by relaxation and simply enjoying life.